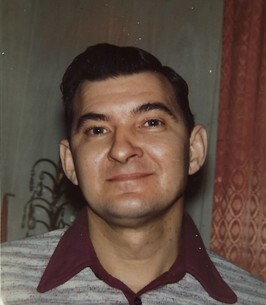 ALEXANDRIA: Allen Eugene Caplinger, 84 of Alexandria died peacefully while in the company of his family on Nov. 18, 2018 at his residence after an extended illness. Allen was born in Vigo County, Indiana on May 27, 1934 and was the son of Edwin A and Leona M (Brockmeier) Caplinger. On June 17, 1960 he married Barbara (Hoard) Caplinger. He served his country during the Korean War serving with the United States Navy for four years and the United States Air Force for additional four more years. Allen was retired from the Anderson Community School Corp. where he was employed as the Plumbing Supervisor. Allen is survived by his wife of 58 years, Barbara, his daughter, Kathy (Randy) Gore and his son, Darrell (Vickie) Wallace. Also surviving are his four granddaughters, Lee Ann Wallace, Kelly Wallace, Randa Gore and Lacey Gore. A private family graveside service will be held at a later date in Anderson Memorial Park Cemetery. The Whetsel family is honored to celebrate Allen’s life with his family and community. To send flowers to the family of Allen Eugene Caplinger, please visit our Heartfelt Sympathies Store. We encourage you to share any memorable photos or stories about Allen. All tributes placed on and purchased through this memorial website will remain on in perpetuity for future generations.